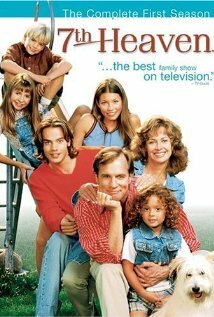 7th Heaven was an American drama television series, created and produced by Brenda Hampton. The series premiered on Monday August 26, 1996, on the WB, the first time that the network aired Monday night programming, and was originally broadcast from 1996-2007. The series finale was scheduled for May 8, 2006; however, the show was renewed by the CW when the intended final episode received high ratings. The 11th and final season premiered on Monday, September 25, 2006 and ended on May 13, 2007. 7th Heaven is the longest running series that has ever aired on The WB, and was promoted by WB TV network as the longest running family friendly drama in television history and the longest running show produced by Aaron Spelling. The show tells the story about a Protestant minister’s family living in the fictional town of Glen Oak, California. creditors are permitted to call you several times a day. hospitals fit out their emergency patients with polka-dot pajamas. you may be fired because of a mere suspicion of your employer that you were stealing from him. you are living in Southern California but it takes over five years before you get to meet a Roman Catholic. virtually everybody knows the minister of a small- to medium-size church, and they all call him “Reverend”. a physical by your family doctor includes a pregnancy test. the same doctor calls your parents (instead of you) telling them the result…even before the pregnancy is confirmed by a blood test or ultra-sound. your minister’s wife is considered an educated woman, even though she is a college drop-out who knows nothing about kosher laws. your high school has a “court” consisting of teachers and students who decide whether a student committed plagiarism or forged a parent’s note. a wealthy lady bequeathed a local church community a mansion for the use of the minister…and his family…and perfect strangers. your kid sister skipped one year and is no 15, even if she used to be 12 two years ago. having a beeper, a dose of aspirin, a baseball cap, or a steak knife in school all merit the same punishment- one day suspension. But flipping a bird will get you three days. Matt has a reputation for being wild. One that is never exactly explained or displayed. Ferrets are illegal, but it’s perfectly safe to follow a stranger into an alcove in the mall to buy some.